My daughter asked one night for help to say her rosary while she was having trouble sleeping. 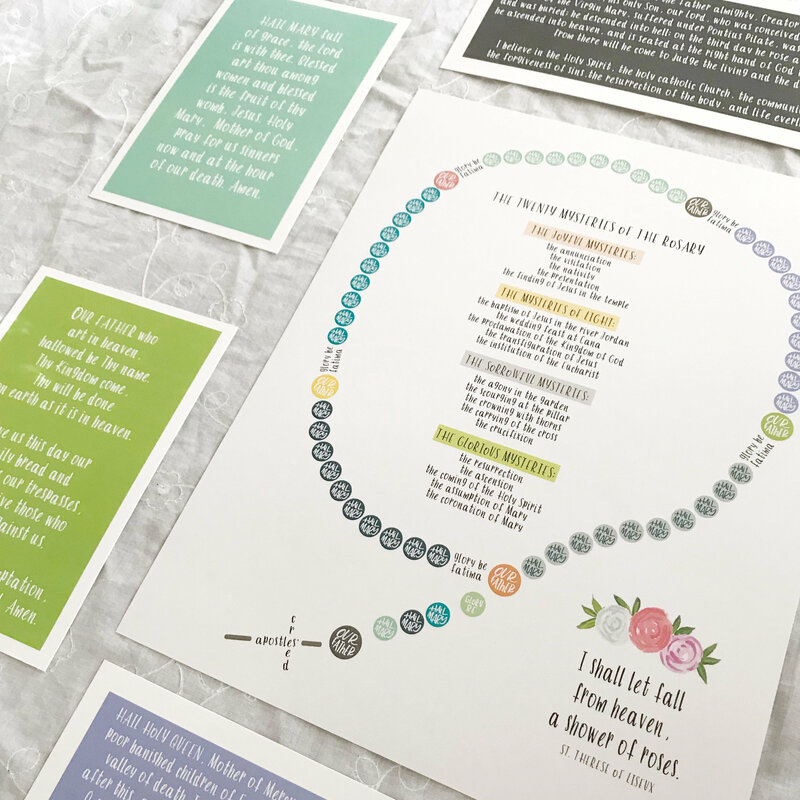 There was born the idea for a set of color prints designed specifically for children to learn and grow in their love of this beautiful prayer. This particular listing includes the 8.5x11" print only. 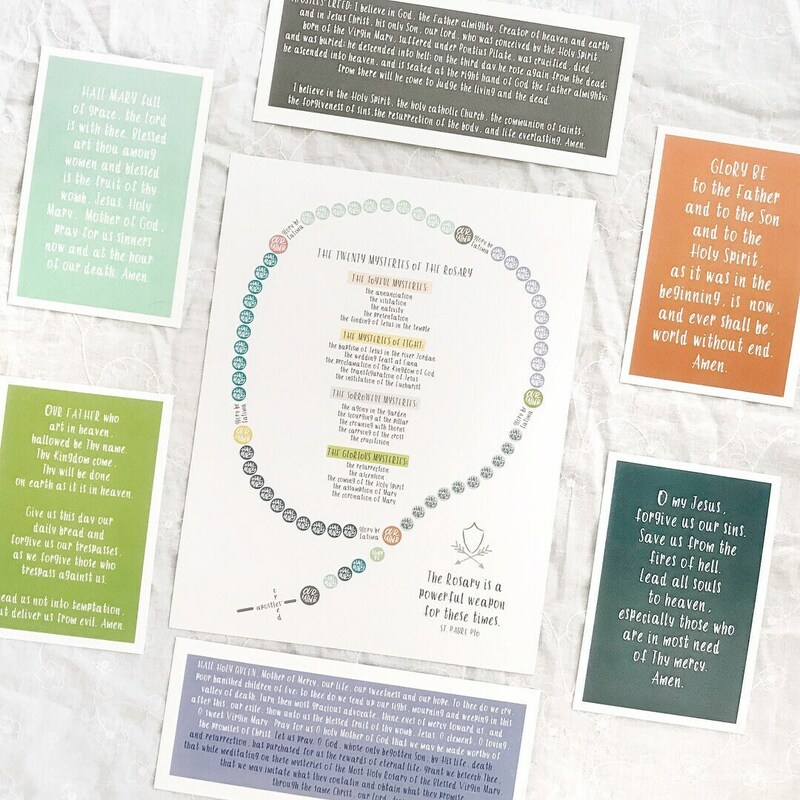 It features a colorful rosary, where each bead is hand illustrated with which prayer is recited on it, and an illustrated quote from St. Therese of Lisieux. 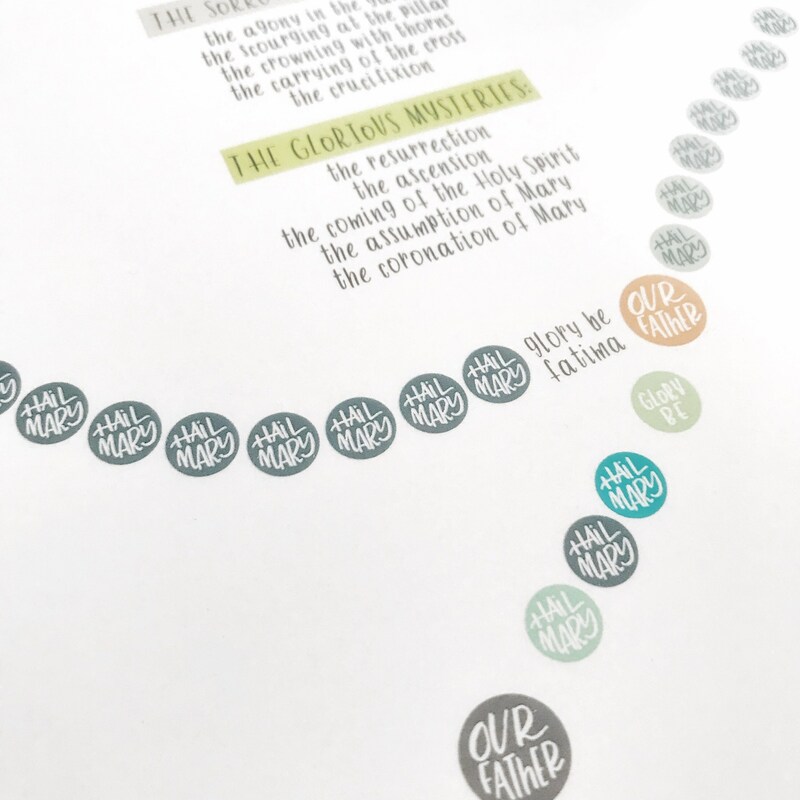 The download includes a PDF version and a JPG version for printing options. By purchasing this product, you agree that all digital downloads are for personal use only and may not be printed in bulk or replicated digitally without express permission.